Virto List Form Extender allows creating automatically calculated fields. 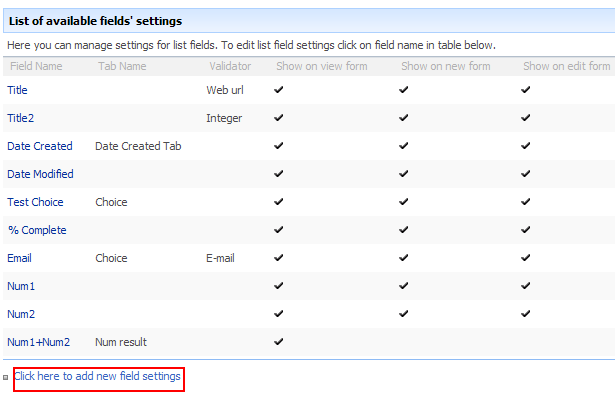 This means that you can add fields that will be calculated according to the set formula (define by SharePoint settings). Go to list settings and open “Virto SharePoint List Form Extender Settings” block. Use “Click here to add new field settings”. In the new field settings form select required field with formula, for example, Num 1+Num 2. Fill out other fields and click “Save”. Note: calculated fields are displayed only in the list view form. The values of calculated fields are calculated automatically. There is no need to fill out such fields.